If you are in London between now and May 15th, make sure to visit Whitechapel and check out this fantastic exhibition. 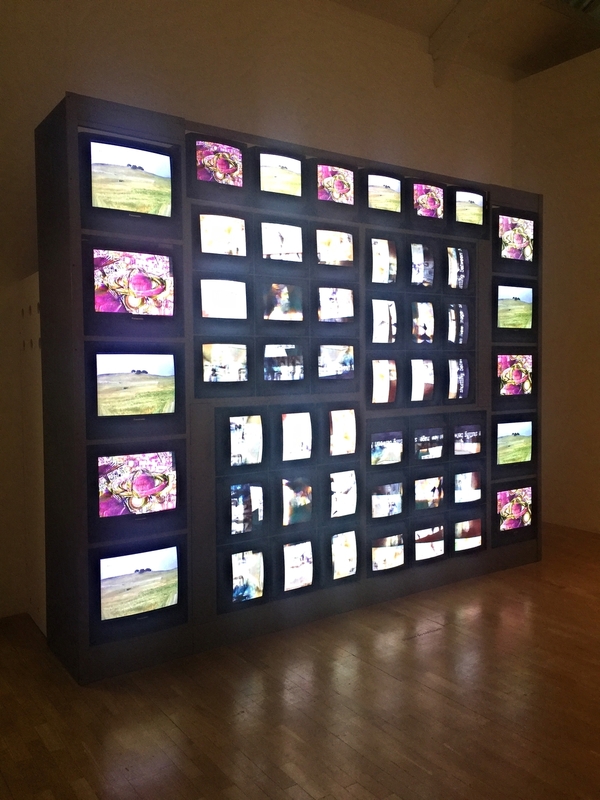 “How is the Internet changing art?” That is the critical question posed by Whitechapel Gallery’s major exhibition surveying the relationship between visual culture and new media technology over the last five decades. 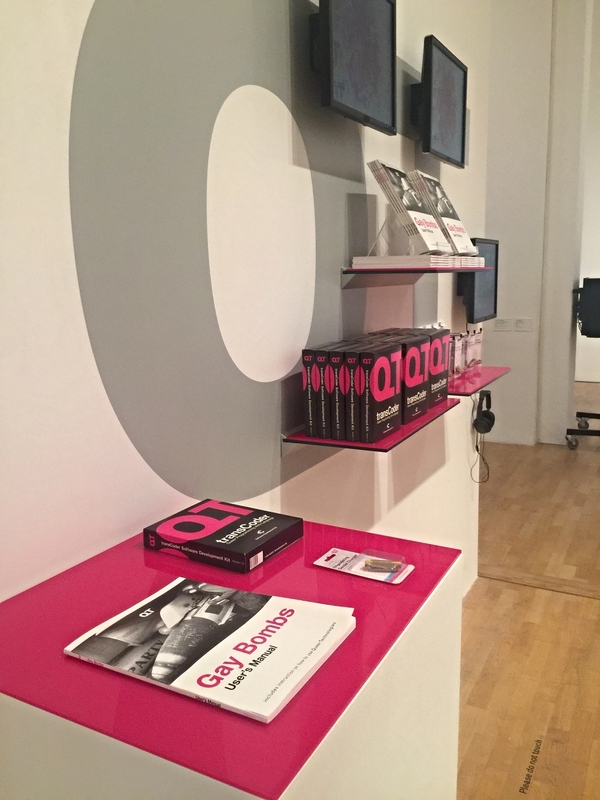 Having researched these questions and taught New Media focused courses over the past six years, I was excited to visit this exhibition in person while on my recent trip to London. The show, which opened January 29th and runs through mid-May in East London, presents an incredible collection of artists, projects, archives, and writings (past and present) and raises important questions about how artists have been at the leading edge of the debates and questions concerning human relationships with emerging technology. What struck me when entering the spaces of Whitechapel Gallery was just how dynamic, playful, and thoroughly inviting the exhibition looked and felt. 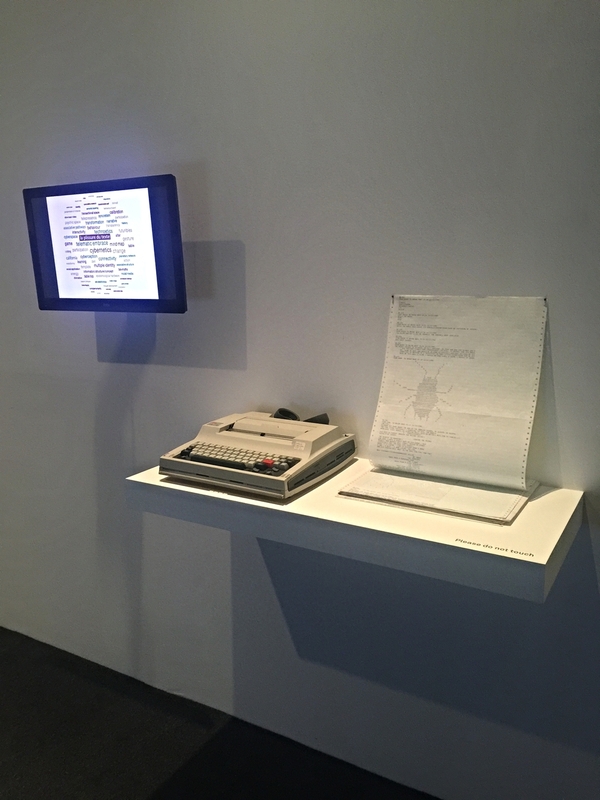 Unlike other new media shows that can tend towards the cool and minimal, there was attention to presenting both traditional and non-traditional media forms in the examination of the core theme of the “Electronic Superhighway” in an engaging way. The unassuming and traditional facade of Whitechapel Gallery hides one of the most important contemporary public art galleries in London. Oscillating between themes of resistance and liberation, the show is strategically divided into three large galleries that plot both a chronological and thematic approach to artistic engagement with computers, the Internet, and new media. Visitors enter the main gallery space on the ground floor and are invited to look first at the present (hence the subtitle 2016-1966—a clever curatorial approach) and familiarize themselves with some of the most relevant and contemporary artists and projects exploring the exhibition themes. It was interesting seeing Canadian Douglas Coupland given such a prominent place in the room (and of course his placement here relates to his literary work as much as his visual projects), but I was more drawn to the works done by artists Amalia Ulman, Zach Blas, Evan Roth, Cory Arcangel, James Bridle, Taryn Simon, Jayson Musson, and Haron Farocki (see my gallery for details). Interior Shot of exhibition with Douglas Coupland, Deep Face (2015) in background. Moving upstairs, the pioneers of Internet and new media based art are showcased, and visitors are greeted with a large scale video sculpture installation of Nam June Paik’s Internet Dream (1994) which many delighted in watching, photographing, videotaping, and generally hanging out with. I probably took more pictures and notes in this part of the show since it is both rare and incredibly special to see some of the documents and artworks from this much-neglected period of art history ranging from the late 1960’s through 80’s. The highlight for me was finally getting a look at some of the ephemera associated with E.A.T. (Experiments in Art and Technology)—an interdisciplinary group including the likes of Robert Rauschenberg, Yvonne Rainer, John Cage and many others who attempted to establish collaborations between artists and engineers working with emerging technologies in the late 1960s. A manifesto and several documents were available for viewing—a rare look into a key nexus of activity during the height of the counter-cultural revolution in New York. Moving back downstairs, I made sure to check out the related exhibition of German filmmaker Harun Farocki’s immersive computer game video installation, Parallel I-IV. Here, the examination and evolution of gaming graphics was presented in both an interactive and conceptual way. It was also a thrill to see how relevant and cutting-edge Farocki’s final work was (he passed away at 70 years old in 2014) and to note his profound influence on many of the younger artists featured in the larger show (his Workers Leaving the Factory in Eleven Decades was also a delight to encounter later in my visit at the Tate Modern). Since his passing, it appears many more institutions have been showcasing Farocki’s work, making his legacy known to a new generation of artists and researchers. All in all, this is a show not to be missed if you find yourself in London before the end of May. 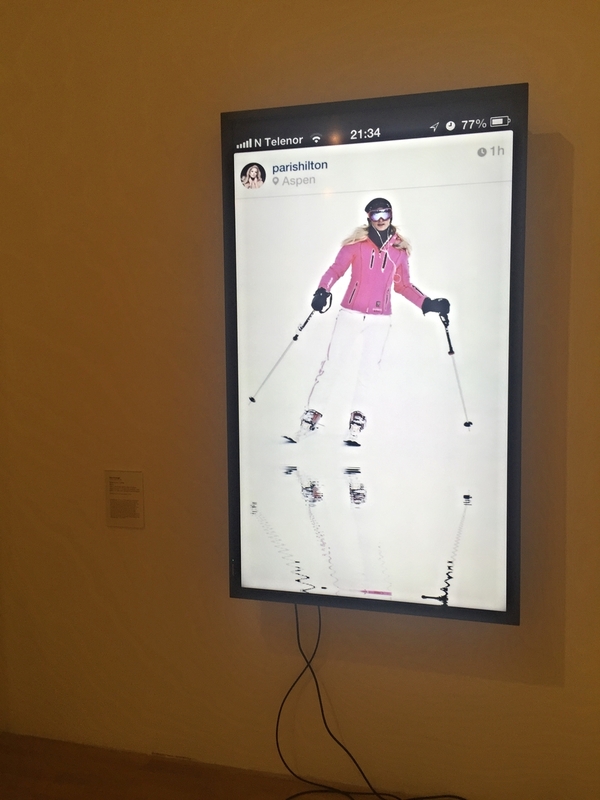 Once again, we can see through these kinds of exhibitions how the boundaries and possibilities for artmaking and thinking about the avant-garde are being transformed through the Internet, computing, and emerging screen cultures. So many books! I have the catalogue on order, but there are many more books related to this exhibition that I will be posting on my Pinterest collection "Books to Explore"